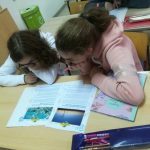 GeoTalk interviews usually feature the work of early career researchers, but this month we deviate from the standard format to speak to Marina Drndarski, a biology teacher at the primary school Drinka Pavlović in Belgrade, Serbia. 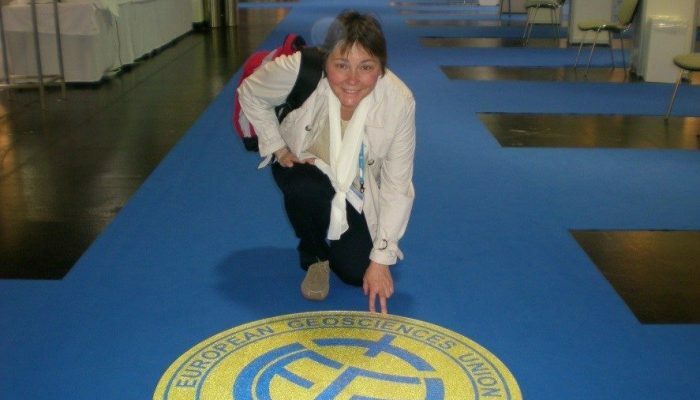 Marina has been involved with EGU’s geoscience education activities for more than five years; she is an active contributor to Planet Press articles, bitesize press releases for kids, parents and educators, and has participated in the Geosciences Information for Teachers (GIFT) workshops at the General Assembly. Thanks for talking to us today! Could you introduce yourself and tell us about your career path? My name is Marina, and I teach biology and environmental studies in primary and secondary schools in Belgrade, Serbia. As an experienced teacher I realised that it’s not only my priority to give lectures and assess my students’ knowledge inside the four walls of my classroom, but also to give them an opportunity to get out of the box: whether that’s involving them in projects, taking part in active citizenship, exploring, researching, debating, or searching for the most improbable and unexpected solutions to problems in everyday life. 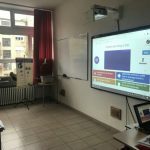 During my 25 years of teaching, I worked as an expert for education quality standards governed by the Ministry of Education of the Republic of Serbia. I have written several biology and environmental handbooks, workshops and teaching learning materials for students and teachers. With my students I have participated in several national and international projects (such as the Global Designathon Serbia, Eco Schools Serbia, the WWF European Schools For a Living Planet, Creating a School (on Mars) From Scratch, and the 2018 International Schools Essay Competition and Debate to name only a few). Meanwhile, I have also completed specialised academic studies on environmental protection and law at Faculty of Law, University of Belgrade. Could you tell us about your involvement with EGU and how that has progressed over the years? My first experience with the EGU GIFT workshops was at the 2014 General Assembly. 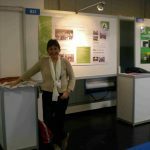 First, I was fascinated by the huge crowds of the scientific community, rushing through the halls to be a part of The Face of the Earth (the 2014 conference theme). As part of the event, with colleagues from all around the world, I really enjoyed the inspirational lectures over four days. Although the GIFT program ended by the middle of the week, I stayed up to two more days, until the closing of the conference. 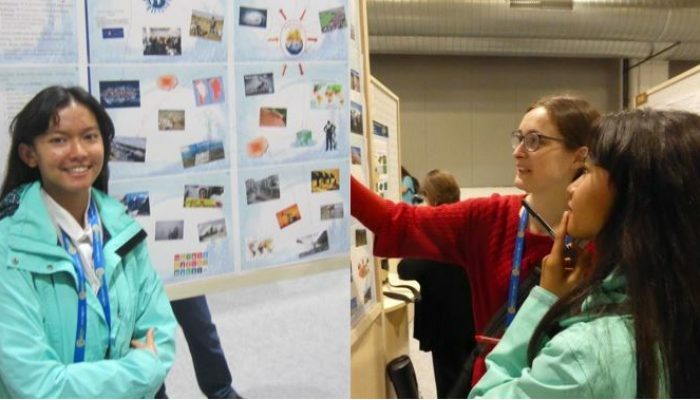 During the EGU GIFT 2014 poster sessions, I presented my work with my students, members of the Eco-Muskeeters, and enjoyed the experience of exchanging teaching methodology with other colleagues and visitors. 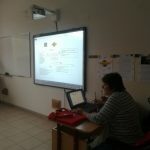 Among the various activities and workshops that we had that year, I would single out Bárbara Ferreira’s (the EGU Media and Communications Manager) presentation about bitesize press releases for kids, Planet Press. After the presentation we were offered to participate in the translation of the Planet Press releases into our native tongues, which I immediately and wholeheartedly accepted. After great experience participating in 2014, I searched for a new opportunity to participate again for EGU GIFT 2015, The Voyage through the Scales. This time I came with a new poster, Experiment-o-mania, and short oral presentation to GIFT participants on how I use Planet Press articles in my classes. Although I normally do not teach geosciences, I have found many ways to use the Planet Press releases in teaching biology, especially in environmental science. 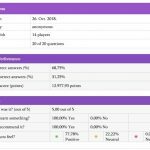 During the last few years I have translated all of the articles from English to Serbian. I can confess that I honestly enjoy in each of the new press releases. In addition to helping review Planet Press articles, you also incorporate texts from Planet Press and GeoTalk into your own lessons! How do you use these articles to teach your students about Earth science? 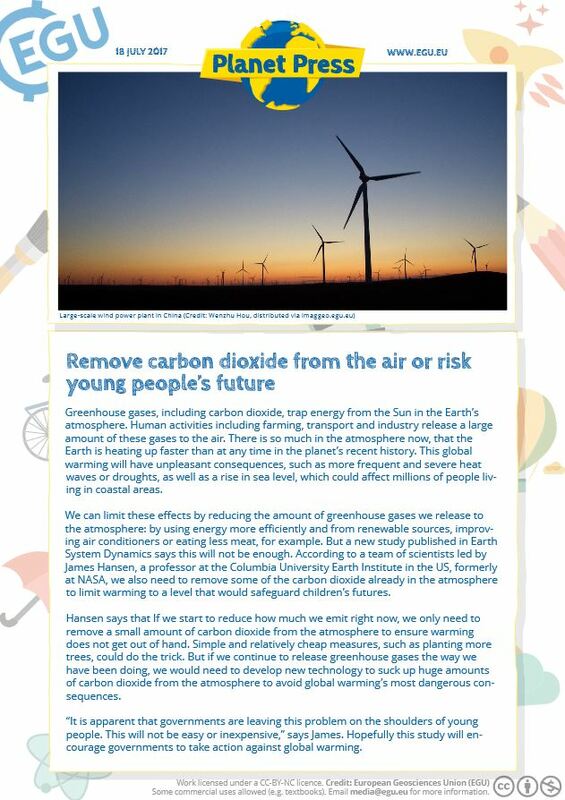 Students are given different articles from Planet Press which deal with one topic, such as climate change or global warming. Each pair of students also has a piece paper in front of them, with the theme on the paper’s center. As the student pair read the received articles (two for each of them), they construct their maps. After that, all together, we construct the class conceptual map and discuss and propose suggestions for how each of us can influence to environment based on the principles of sustainable development, such as reducing carbon emissions, saving energy and using water wisely. 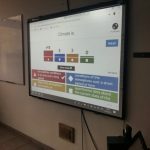 At the end of the class, students take a climate change quiz on Kahoot (https://create.kahoot.it/; Planet Press) or Quizlet. 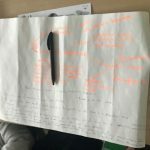 Writing a conclusion is an important part of any piece of writing, so for the next class the students write an essay overview to summarise the topic. In your own experience, what have students gained from these kid-friendly posts and press releases? In my opinion, most of the obligatory textbooks for elementary or secondary school have topics such as climate change, Earth’s structure, glaciers, landslides etc. that are explained too narratively. 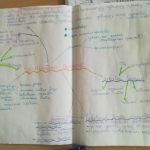 Most of the main text are described as definitions which students have to learn as facts, without putting students in the center of learning, placing themselves in a position to explore the topic, perform a scientific procedure and make a discovery, demonstrate a known fact, solve problems, or suggest solutions which may be achievable. On the contrary, all the articles from Planet Press and GeoTalk provide real examples of field research and show students that science is actually happening somewhere in the world. 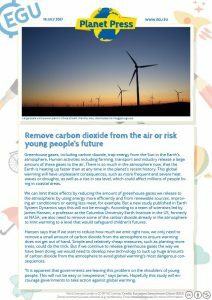 Most importantly for students, are that most of the articles often show how science can influence everyday life, and that there are possible solutions and recommendations for what we can do to relieve pressure on the planet. Additionally the questions in the “Find out more” section provide me with an opportunity to develop discussions in class. Also, the possibility that the articles can be read in a foreign language, for example in English or German (languages which are taught at my school), give students the opportunity to improve their language skills. What is your advice for scientists that want to work with school kids? First, it is important for students to understand that somewhere in the world a whole team of scientists zealously work to improve the living conditions of the planet. New findings can help us see the actual state of the planet and give us the big picture of what we need to see. That’s why the Planet Press releases can open new perspectives to students to explore more through the offered material and links or to find answers to some scientific questions, feeding their curiosity and helping them develop awareness regarding the problems which concern us all. I would suggest one-hour live meetings with scientists and students, whether the scientists are directly addressing kids in the classroom or responding via the internet. Therefore, it is necessary to go over one scientific topic with the students before the meeting in order to allow the students enough time to prepare questions for discussion. Also, students can be citizen scientists on research teams, and engage in mini projects, such as collecting information from local areas or visiting researchers in the field. Perhaps even some of the students can give new information to researchers! I am deeply aware that many scientists suffer from lack of time, but this kind of learning can be really helpful for students. Miličić, D., Drndarski, M., Trajković J., Savić T., Lučić L., and Pavković-Lučić S. (2018). A matter of health: Evaluation of health habits in pupils in Primary School in Serbia; 4th Balkan Scientific Conference on Biology, Nov. 1st-3rd, 2017. Plovdiv, Bulgaria (in press). Drndarski M. (2015). Experiment-о-mania – Abstract for the EGU General Assembly 2015 – Geophysical Research Abstracts Vol. 17, EGU2015-4692-1, 2015. EGU General Assembly 2015. © Author(s) 2015. 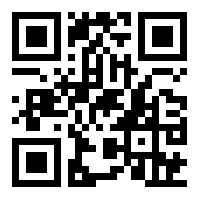 CC Attribution 3.0 License. Drndarski M., (2014). 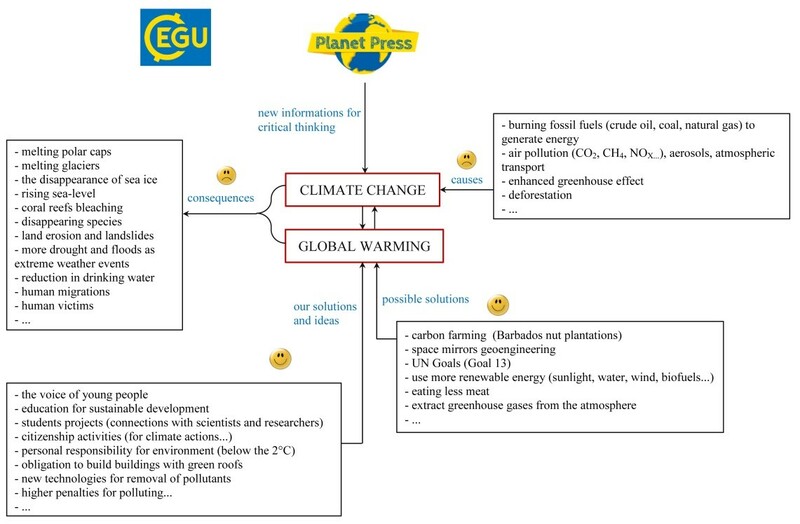 All for the Planet, Planet for All – Abstract for the EGU General Assembly 2014 – Geophysical Research Abstracts Vol. 16, EGU2014-PREVIEW, 2014 EGU General Assembly 2014 © Author(s) 2014. 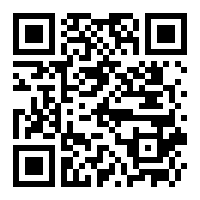 CC Attribution 3.0 License. Educators: apply now to take part in the 2019 GIFT workshop! The topic of the 2019 edition of GIFT is ‘Plate tectonics and Earth’s structure – yesterday, today, tomorrow’. The General Assembly is not only for researchers but for teachers and educators with an interest in the geosciences also. 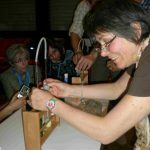 Every year the Geosciences Information For Teachers (GIFT) is organised by the EGU Committee on Education to bring first class science closer to primary and high school teachers. 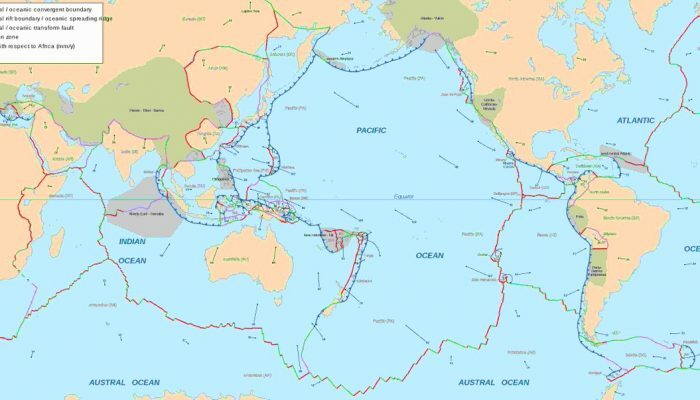 The topic of the 2019 edition of GIFT is ‘Plate tectonics and Earth’s structure – yesterday, today, tomorrow’. This year’s workshop will be taking place on 8–10 April 2018 at the EGU General Assembly in Vienna, Austria. Teachers from Europe and around the world can apply to participate in the 2019 edition of GIFT, and to receive a travel and accommodation stipend to attend the workshop, by November 12. Application information is available for download in PDF format, a document which also includes the preliminary programme of the workshop. Not sure what to expect? More information about GIFT workshops can be found in the GIFT section of the EGU website. 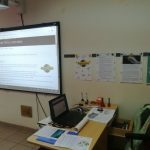 You can also take a look at a blog post about the 2015 workshop and also learn what the workshop is like from a teacher’s perspective here. You might also find videos of the 2018 workshop useful too. Today we welcome probably one of the youngest participants who attended the 2018 General Assembly, Pariphat Promduangsri, a 16-year-old science baccalaureate student at Auguste Renoir high school in Cagnes-sur-mer, France, as our guest blogger. With a deep interest in the natural world and in taking care of the environment, Pariphat was a keen participant at the conference. She gave both oral and poster presentations in sessions on Geoscience Games and on Geoethics. She enjoyed particularly the sessions on education and geoscience. 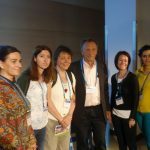 The 2018 EGU conference in April was my first time attending the General Assembly; it was the biggest gathering that I have ever been to, and I think that I was most likely one of the youngest participants ever at the EGU General Assembly. Last year, my sister, Pimnutcha, went to the 2017 General Assembly with our stepfather, David Crookall. When she got home, she told me how exciting and interesting the conference was. She also wrote a blog post for GeoLog about her experience. This year, it was my chance to attend this conference. However, the dates were still in the school term time, so I asked my high school teachers and director if they would let me be absent from school. They agreed, and told me that it would be a great opportunity to learn many things. My stepfather and I arrived in Vienna on the Saturday before the conference; it was not as cold as I thought it would be. On Sunday, we went to a pre-conference workshop titled ‘Communicating your research to teachers, schools and the public – interactively’ organized by Eileen van der Flier-Keller and Chris King. It was very interesting. They helped us to think more clearly about aspects of teaching geoscience and how pupils can learn more effectively. So began an enriching and wonderful week. We attended many oral and poster sessions. During the conference, I had the opportunity to participate in two different sessions, giving two presentations in each – one oral and three poster presentations in all. The first session that I attended was Games for geoscience (EOS17), convened by Christopher Skinner, Sam Illingworth and Rolf Hut. Here I did one oral presentation and one ready-to-play poster. This session was the very first one on the topic of geoscience games at the General Assembly, and I was lucky to be part of this momentous event. 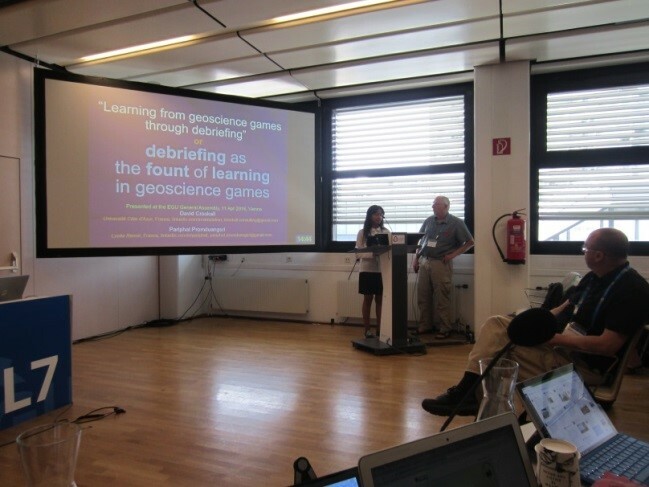 Our oral presentation was called ‘Learning from geoscience games through debrieﬁng’. I did the introduction and some passages in the middle, with the rest done by David. The main idea of our presentation was to emphasize how we may learn more effectively from games by debriefing properly; it is during the debriefing that the real learning starts. As David says, “the learning starts when the game stops”. For our poster, ‘Global warming causes and consequences: A poster game+debriefing,’ people were invited to play our GWCC game. We asked people to participate by drawing lines linking global warming to its causes and effects. I had a great time talking with some dozen people who came to visit and play. The Geoscience Games Night was organized by the conveners of Games for Geoscience. Many people brought games of all kinds to share and play, and even more people came to play. The atmosphere was one of enjoyment, socializing and learning. I played a game about the water cycle, based on the well-known board game Snakes and Ladders. It was an exciting time. At the end of the session, Sam Illingworth came to tell me that earlier in the day I did a great job for the oral presentation. I felt really happy about his compliment. Water (including waterways, seas) should have similar rights as humans, implying protection by law. Water quality must be protected and guaranteed by all people living in the same watershed. Water polluters should be punished. All people with community responsibility (politicians, mayors, directors, managers, etc) must pass tests for basic geosciences (esp climate science) and geoethics. Families and schools have an ethical and legal obligation to promote respect for others, for the environment, for health, for well-being and for equitable prosperity. Debriefing about (a) the values and (b) the group process using consensus. The second poster was titled ‘Geo-edu-ethics: Learning ethics for the Earth’. In this interactive poster, we asked participants to contribute their ideas for geoethics in education, or as we call it, geo-edu-ethics. We received excellent feedback from viewers and contributors to this poster. 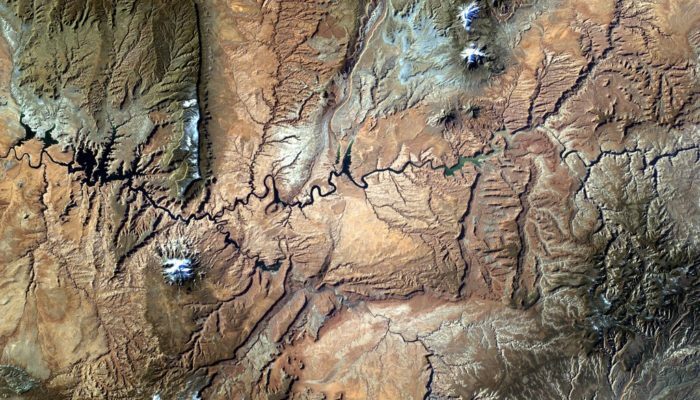 We must make geoethics a central part of education because it is crucial for future generations. Indeed our Geo-edu-ethics poster stated, “we need people to learn, and grow up learning, about what is right and wrong in regard to each aspect of our personal earth citizen lives. That needs nothing short of a recast in educational practice for all educational communities (schools, universities, ministries, NGOs) across the globe. It is doable, but it is urgent”. Also, we must all realize that “education is inconceivable without ethics. Geo-education is impossible without geoethics… Geo-conferences (including the EGU) include ever greater numbers of sessions related to experiential learning. Experiential learning is at the heart of much in the geo-sciences. An already large number of simulation/games exist on a wide variety of topics in geoethics,” (extract from Learning Geoethics poster). This explains why a conference like the General Assembly is so important. We can learn from the enriching experience provided by the conference itself, and also learn about opportunities for experiences in the field. During the week, I went to many different sessions; I met many new people, all of whom who were friendly and down-to-earth (so to speak!). It was a pleasure to be part of the General Assembly and it is also a good opening to the professional world. The EGU allowed me to discover many great things about several fields in the geosciences and about the Earth. It was indeed an exciting time! I would like to thank Silvia Peppoloni, Giuseppe Di Capua and their fellow co-conveners from the International Association for Promoting Geoethics and the Geological Society of London; I admire the work that they are doing. I enjoyed the evening meal with everybody at the Augustinerkeller Bitzinger in the beautiful city night of Vienna. I also wish to thank Christopher Skinner, Rolf Hut and Sam Illingworth, co-conveners of the Games for Geoscience session. They gave a wonderful opportunity to be part of their sessions and to learn more. I also thank my high school teachers for letting me be learn outside school and in a professional setting. I hope to see more pupils at the EGU! Please join me on LinkedIn. Pariphat Promduangsri is a 16-year-old science baccalaureate student at Auguste Renoir high school in Cagnes-sur-mer, France. Her native country is Thailand. She has lived in France for over four years. She speaks English, French, Italian and Thai. When she is not studying or climbing mountains (she has already done most of the Tour du Mont Blanc), she likes playing the piano. Later she will probably persue a career taking care of the environment and the Earth.